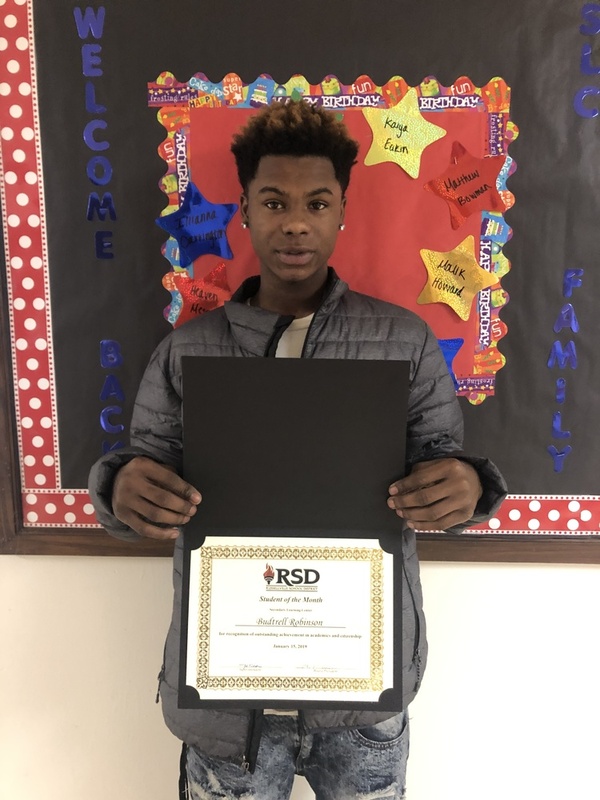 We are so proud of our student of the month, Budtrell Robinson! He has done such a great job, changing his attitude about school and his work ethic! We are proud of you Budtrell, keep up the good work!